‘Cars 1’ was never my favourite Pixar movie (nothing can beat the ones back in the day – ‘Toy Story’ and ‘A Bug’s Life’ to name a few), but I still thought it was an enjoyable watch. ‘Cars 2’ sadly wasn’t up to much, with most agreeing that it lacked depth and direction. This alone made me worried that ‘Cars 3’ was going to be an absolute car crash (excuse the pun), but thankfully I found myself pleasantly surprised. 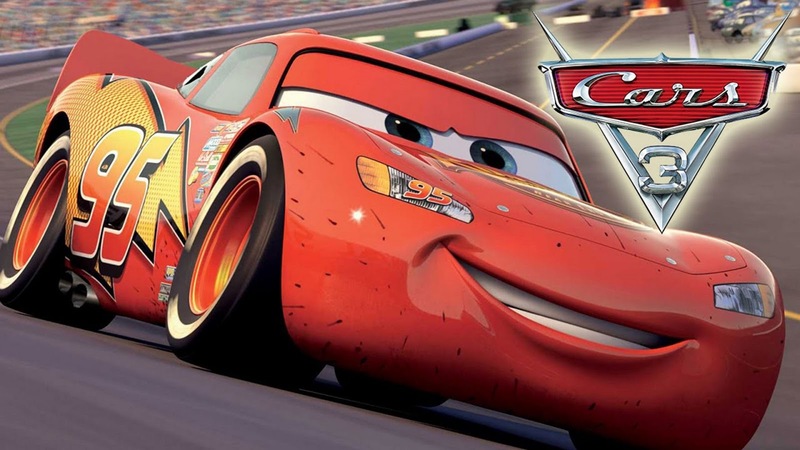 Lightning McQueen (Owen Wilson), the most popular racing car since his mentor, Doc Hudson (Paul Newman), is ready to win yet another championship. Unfortunately for him, there’s new kids on the block – namely Jackson Storm, a powerful new competitor who leads the next generation of high-powered, technology-focused racing cars. These cars all train using virtual reality and intense gym-like regimes, and unfortunately McQueen just isn’t what he used to be, leading to him fading into the background as the new cars take over. After a bit of a slump, McQueen is finally ready to try again as he agrees to be trained by personal trainer Cruz (Cristela Alonzo), a personal trainer who also has dreams of her own. On the surface, Cruz seems slightly irritating, but she’s actually a really well-thought out character which becomes apparent once we discover why she trains. She’s also a great role model for girls who are into the ‘Cars’ franchise, and one that many girls interested in racing, sports, and other hobbies typically viewed as ‘boy interests’ will be able to relate to. The new characters in ‘Cars 3’ make quite a nice change from ‘Cars 2’ where it all just felt a bit stale. Mater, although a loyal and trustworthy friend, is pushed to the sidelines this time, allowing McQueen to take centre stage as tries his best not to fail. Many of the new additions are fleeting, but their small screen-time still makes an impact. Despite not being alive anymore Doc Hudson is key to the storyline, and there’s lots of nostalgia as characters reminisce about the good ol’ days and the similarities between both him and McQueen. The film actually promotes some really positive messages for kids, namely not giving up at the first hurdle, selflessness and helping others, and also the idea of being true to yourself and not selling out (even if you could make some real money from those awesome mud flap designs). They’re all quite important messages to convey, particularly in the modern day. As well as an underlying message there’s also loads of excitement to be had, with some really entertaining scenes such as a ridiculously crazy Demolition Derby in which McQueen and Cruz come face to face with an angry, Mrs. Trunchbull-esque school bus, and a hilarious part where Cruz learns (very slowly) to race on sand for the first time. It’s got the classic story arc that all kids’ films do so it doesn’t feel particularly original, but it still works. The movie review on Cars 3 is also available on Research Paper Writings in the chapter Cartoons and Movies (reviews for college). Claiming that it's a cartoon for kids is useless. It's more of the original "good-evil" contradiction that is displayed here. Do you want to find more great papers? have a peek here for the best essay samples!